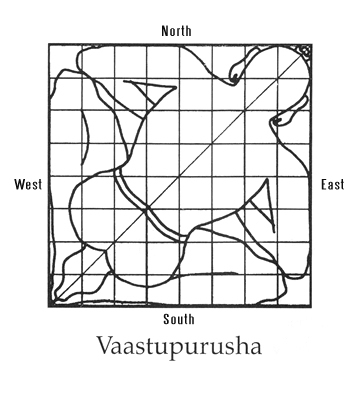 There is another interesting story of Vastu Purusha in Matsya Purana. It narrates the birth of Vastu Purusha. In an encounter with a Rakshasa called Andhikasur, Lord Shiva became tired and exhausted, and he began to sweat profusely. A man was born out of the drops of Lord Shiva’s sweat. He looked very cruel. He was very hungry and began to make penance to appease Lord Shiva and to get a boon from him. Lord Shiva was pleased with his penance and appeared before him. The devotee prayed to Lord Shiva, Oh Lord! Please permit me to eat away all the three worlds. Lord Shiva granted his prayer. He got possession of all the three worlds and was about to eat the terrestrial world. The celestial beings, Brahma, Shiva, and the demons were terrified and they caught hold of the devotee and encircled him. Forty-five deities caught hold of the devotee and pressed him down. This Devotee has been in that position ever since that time. Lord Brahma blessed him and said that he would be the deity of all the plots and constructions, and offerings would be made to him. 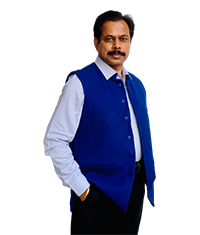 In return Vastu Purusha is said to be taking care of the inmates of the building.